This grip-free pulley system offers active and passive range of motion exercises for the shoulder with completely relaxed muscles. Item #407W has been discontinued. Remaining inventory has been discounted accordingly. All sales are final on clearance inventory. Quantities not guaranteed. The affordable Pul-Ez™ is a shoulder rehab pulley with a difference: its grip-free hold allows the muscles to completely relax. 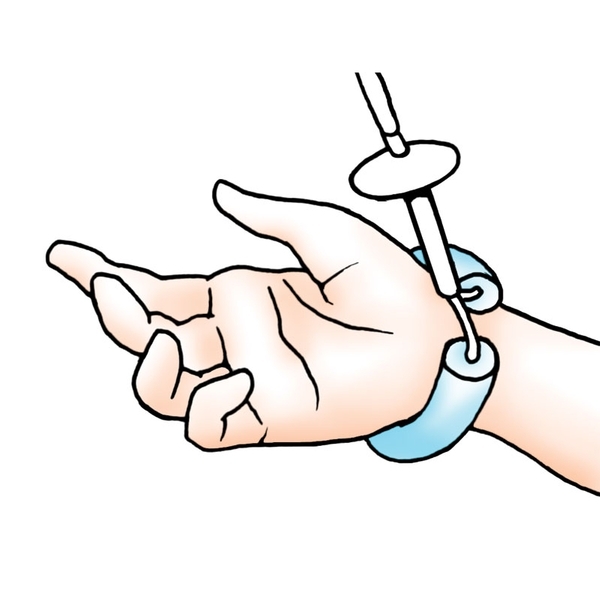 Relaxation is important because when a patient has to grip a conventional pulley handle it causes overflow of muscle tone into the shoulder. The Pul-Ez is ideal for neurological patients. Includes patient instructions for easy home exercise program use. 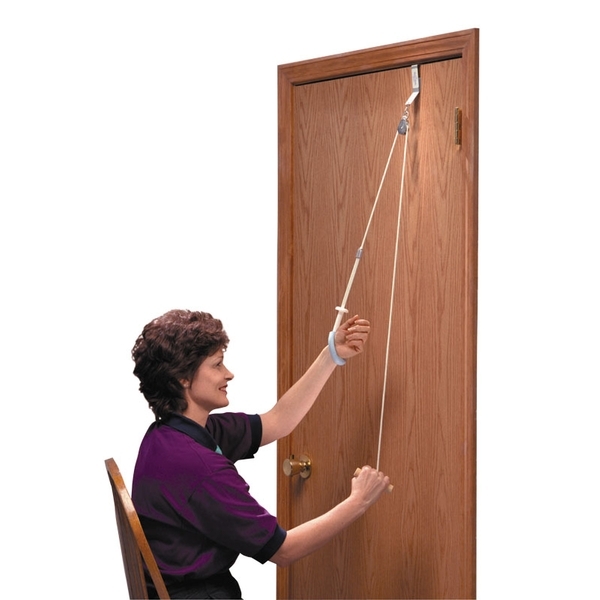 This no-grip pulley system features adjustable line length and a choice of two attachment systems: metal bracket is universal and fits both thick and standard doors, staying in place between uses; webbing strap fits all doors.